We have three weanling/coming yearling foals for sale in 2019. Two are foals by Fonzie (a colt and filly). The third is by Merit. A colt is out of Fancy (a full sibling to Beauty shown below). The filly is out of our mare Joly Brigand Pastel May. 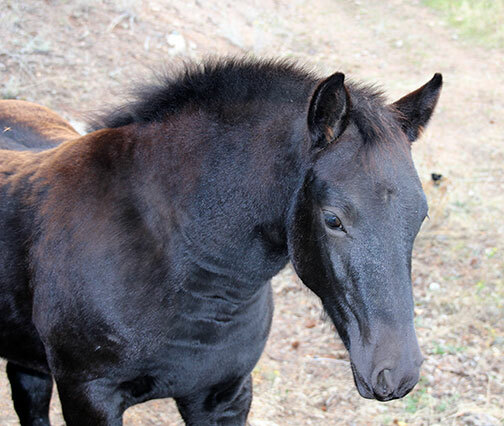 The third is a colt by Merit out of Murphy's Hollow Zipper Solara. Beauty was foaled April 23, 2014 after a 371 day gestation. We thought she was never going to come out! This young mare is quite exceptional. Like her sire Fonzie, and dam Fancy, this filly is very bold, sociable and friendly. She is also a lovely mover with good length of size despite her smaller size. 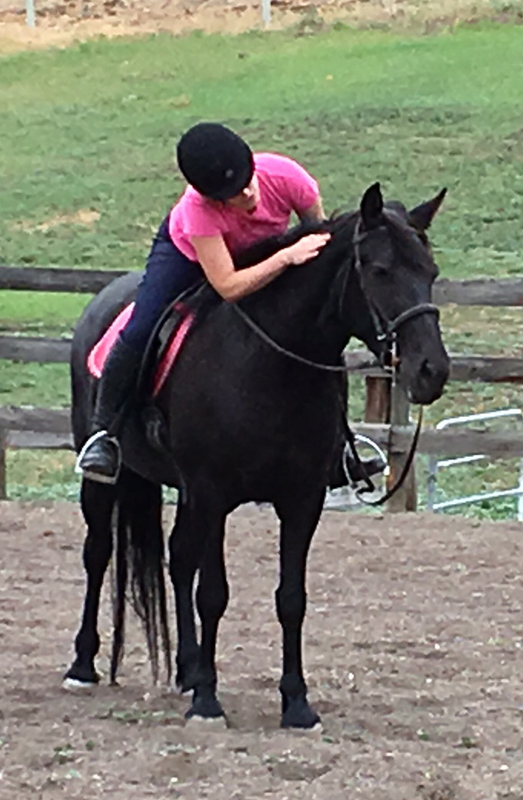 She has been started under saddle and has a good solid walk, trot and canter. She is very unflappable, willing, calm and yet naturally forward. Truly nothing fazes her and her good nature is the epitome of the famous Canadian temperament. Belle was foaled June 7, 2014. She has sold and went to her new home on PEI in May of 2015. We have three lovely foals from 2018 that are being offered for sale in 2019. Two colts and a filly. All have the lovely temperaments by their respective sires. We will try to get and post photos of them here, however in the meantime, you can see photos of them on our farm Facebook page. 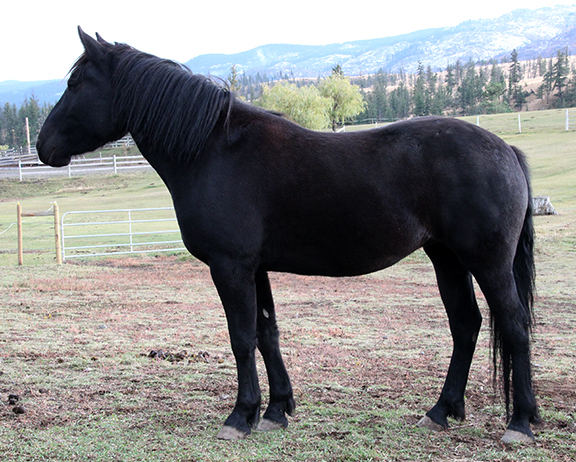 We are delighted to announce that we have sold our filly Beauty, who was foaled in 2014 to a fabulous owner, right here in Kamloops. And even better, we still get to see her since her owner is boarding here with us. The best of both worlds! We did not have any foals or older horses for sale in 2016. 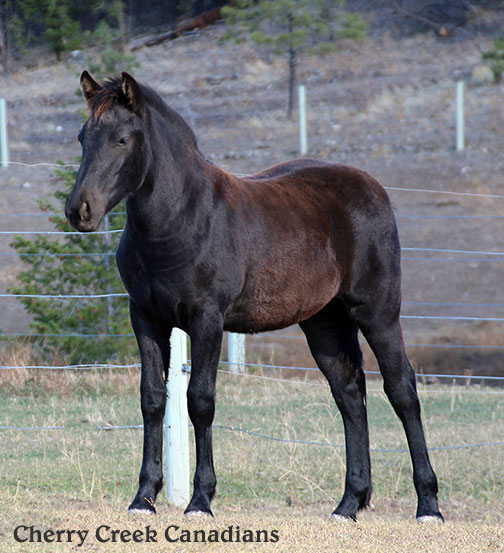 If you are looking to find/buy a Canadian Horse, keep in mind they they are getting few and far between and that very very few foals are being produced (see our information page on this). The best solution in this very tight market may be to look into breeding your own. There are mare owners out there who have no interest in breeding but who may potentially be interested in doing breeding leases with their mares. We had two lovely fillies born in 2014. Belle was by our stallion Zipper and in the spring of 2015, went to to her new home on PEI. The other, Beauty, is by our stallion Fonzie, out of our mare Roval Xno fancy. She is just as athletic, sociable and outgoing as her parents are! If you are interested in learning more about the Canadian Horse or our breeding program, please contact us for more information.